There are loads of places to eat in Cirencester! If there’s one thing we’re not short of it’s pubs and restaurants (as well as charity shops and mobile phone stores 😉 ). If you have money to spend then Made By Bob in Cirencester Corn Hall is the place to go. Using fresh ingredients, everything is made on site – no reheating here – you can watch the chefs hard at work in the open plan kitchen. I usually have the home-made spicy beans on toast. I do advise getting there early though as it’s always packed especially on a Saturday morning. 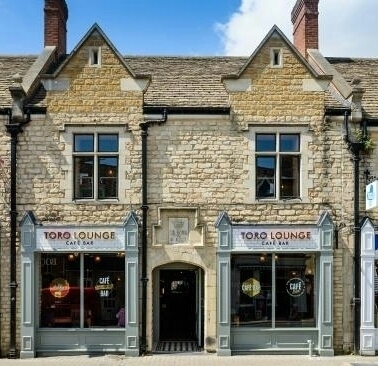 A new chain restaurant that opened up in Cirencester a couple of years ago, Toro Lounge is primarily and tapas and cocktail bar but they do a great breakfast (hang over cure from all those cocktails the night before!!). Breakfast or brunch as it’s referred to on the menu is served all day at Toro Lounge with dishes such as a traditional full English, American style pancakes (highly recommend! ), eggs cooked various ways (poached, scrambled etc) and breakfast muffins. The Premier Inn is a chain of hotels in Great Britain and one opened in Cirencester last year with a Beef Eater restaurant adjacent to it. If you have a small budget or are feeding a family, it’s perfect. The Premier Inn put on an all you can eat, self service breakfast and it’s not just for guests staying at the hotel! Although I do advise booking in advance. There is a mix of continental (think pastries, pancakes, bread and preserves) and a full English breakfast (bacon, eggs, sausages, beans, the works!). I usually start with continental and have some bacon and beans if I have any room left. Remember those pancakes I had for my birthday last year? They were from The Little Chef, a chain of cafés/ restaurants that usually show up by service stations in Great Britain. The food is very reasonably priced and great for those on a budget or with families to feed. The Little Chef has a mixture of continental and English breakfast options. You may have noticed from this list I favour continental over a full English!! The latter is too filling for me, usually, but I do enjoy it at home with Ryan or Christmas morning at my parents. NB – The Premier Inn and The Little Chef are both in the town centre, although it is possible to walk to them, I would recommend driving to these. You’re spoilt for choice here! 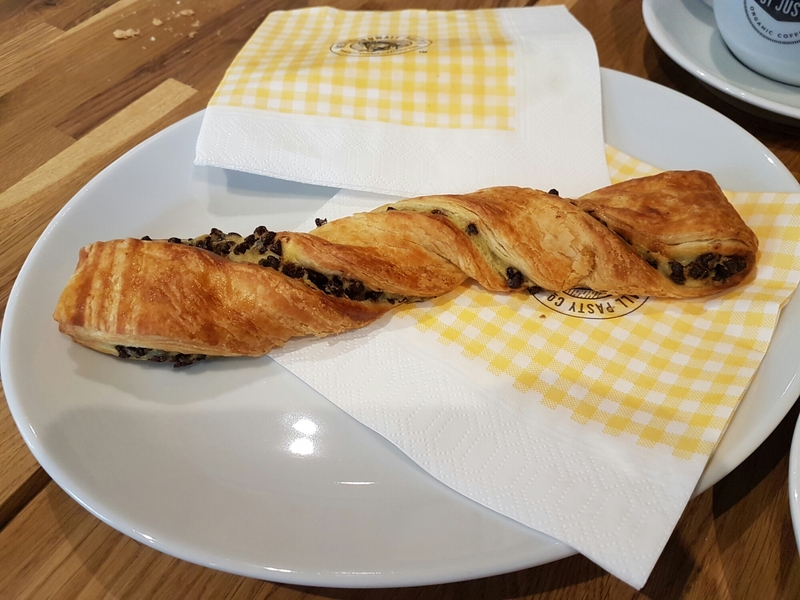 There are lots of cafés and coffee shops in Cirencester, of course you can go to chain coffee shops (we have Starbucks, Café Nero, Costa Coffee and Coffee 1 – out of those I prefer Costa Coffee), but I’d recommend some of the independent coffee shops and cafés instead. I spoke about the bookshop café when it first opened and have gone there many times since, but still haven’t tried the lunch menu! I usually have a hot drink (I love there hot chocolate) and a cake. They specialise in war era style cakes, so expect to find a red velvet cake made the traditional way – with beetroot. The West Cornwall Pasty Co.
A chain of shops that specialise in pasties hand made in West Cornwall, which are then delivered to their shops. 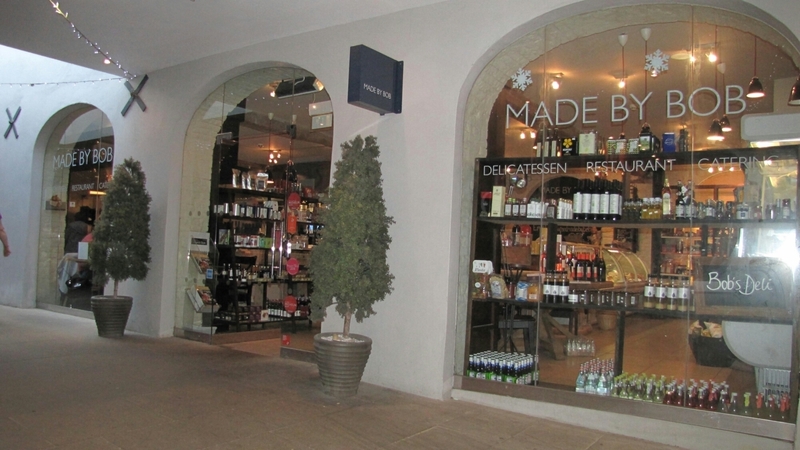 They also sell hot and cold drinks, pastries, doughnuts and cakes. We’ve eaten in many times and enjoy sitting by the window upstairs, people watching. Occasionally I’ll get a takeaway and eat it at home or a nearby park. A lovely little Italian restaurant down a side street in Cirencester. If you didn’t know it was there you’d probably walk past it as it’s off the beaten path, but it’s very well signed posted! They’ve decorated the alleyway entrance. The food is delicious and very good value for money. I’ve been here for meals out with friends, dates with Ryan and for my birthday last year. A pub which has become my local over the years that I briefly spoke about in my Cirencester town guide post. They sell a good range of pub food, it’s a chain restaurant so a lot of the food is bought in and reheated of site but it’s very good value. I love the dessert menu and Wednesdays curry night! There’s often a pub quiz on a Sunday night which is great for a night out with friends. Ryan and I went to a Christmas themed pub quiz with his brother and sister in law, it was fancy dress. We didn’t win the quiz but did come second in the costume competition – we won a bottle of wine. Appearing twice of the list is the tapas bar Toro Lounge! My dad and I first stumbled upon this place after not being able to get a table in The Black Horse one evening, they were fully booked and have come back many times since. 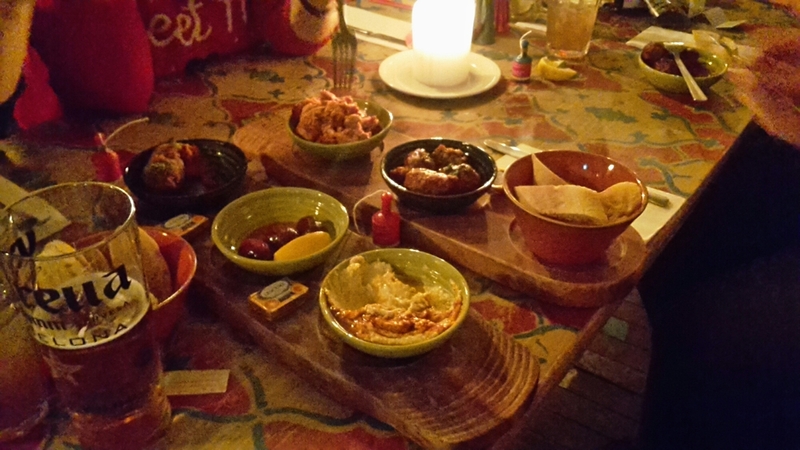 They have an extensive tapas menu which is great if there are a few of you and you want to sample a bit of everything, we did this at Christmas last year with 5 of us. The tapas were great! They also have a wide range of cocktails on offer. Speaking of my sister, she is the bar manager at The Waggon and Horses pub. I have had some great food here, but it can be hit and miss depending on the time of day. One of the great things about this pub is the very well stocked bar where you’ll find a lot of alcoholic beverages that you can’t get anywhere else in Cirencester. The photo below shows there selection of gin. The Vaults / Ingleside House was my families favourite place for Sunday lunch, you get a generous portion of meat (or a vegetarian option) and the sides are served in large serving dishes. It’s help your self. My sister prides herself in eating 20 roast potatoes in one sitting!! Lol. The company I work for have our Christmas party there most years, this year was ‘Christmas at the Movies’ and we were on The Grinch table. 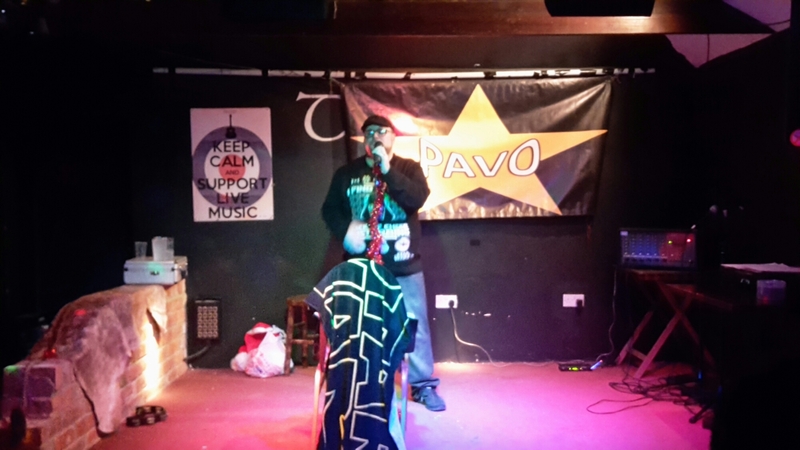 They used to have live music acts at the Vaults most evenings but the change of hands will say goodbye to this aspect of the venue. There will be plays and theatres productions in the future (at The Barn Theatre next door). These look like great places to eat and drink. I especially like the look of the pizza place. £6.95 for a pizza? Yes, please! I haven’t been to a Little Chef in years. My parents used to have to avoid them whenever we were travelling because me and my sister refused to eat adult food. We’d just complain until we got McDonald’s which seems so silly now! 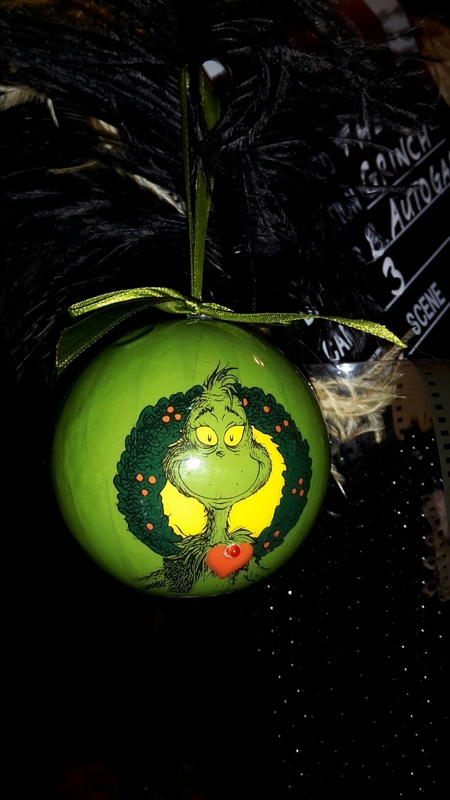 I love the Grinch bauble! That is such a cool theme. 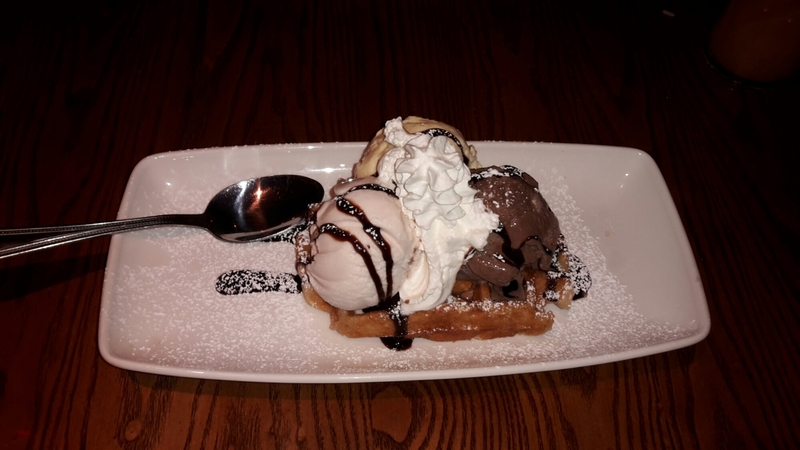 I want to go to The Black Horse for dessert now. That looks amazing! These all look like great places to eat! I’ll definitely have to keep these in mind if I ever visit England. Cirencester looks like it has a lot to choose from as far as food goes.